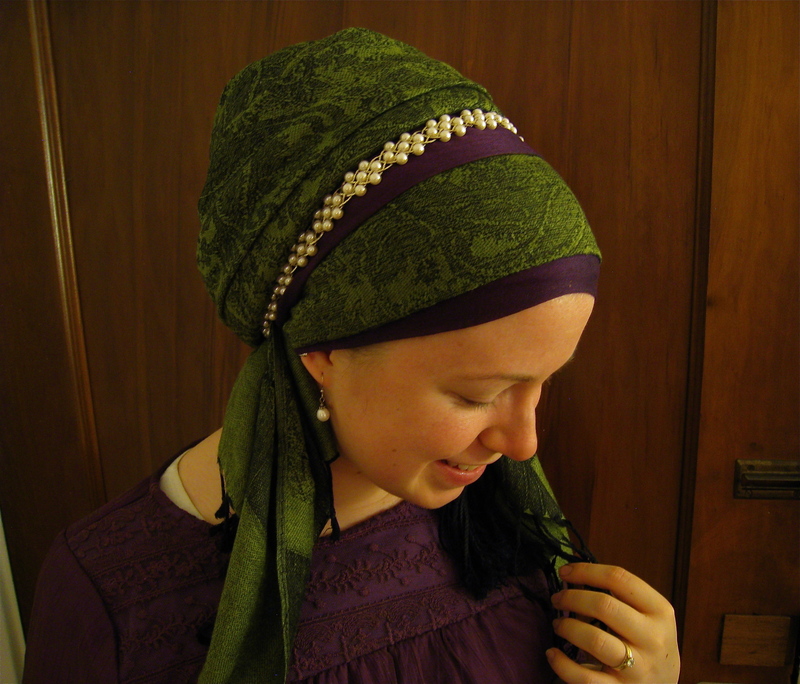 We all know that wearing a tichel can attract a lot of attention. It may be modest, but it is different, and we often find that people show an interest in our behavior or values just based on the way we dress! So with all of that focus on us, what are some ways we can display our values positively? Let’s start with words. We know not to gossip or slander, but what about positive speech? Check out this amazing and inspiring conversation we had about the art of the compliment! When I got engaged, Wrapunzel was just a little (although fabulous) blog. There was no store yet, but my relationship with Andrea led me to a lot of exposure to great wrapping technique. 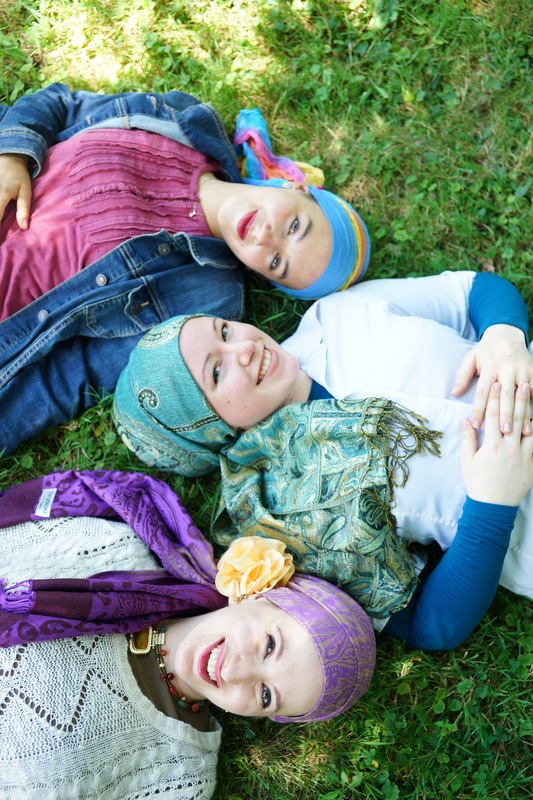 I loved the scarves she wore, and I watched her videos in the days leading up to my wedding. After my marriage, and especially as Wrapunzel grew, I explored almost every type of wrap I was exposed to. 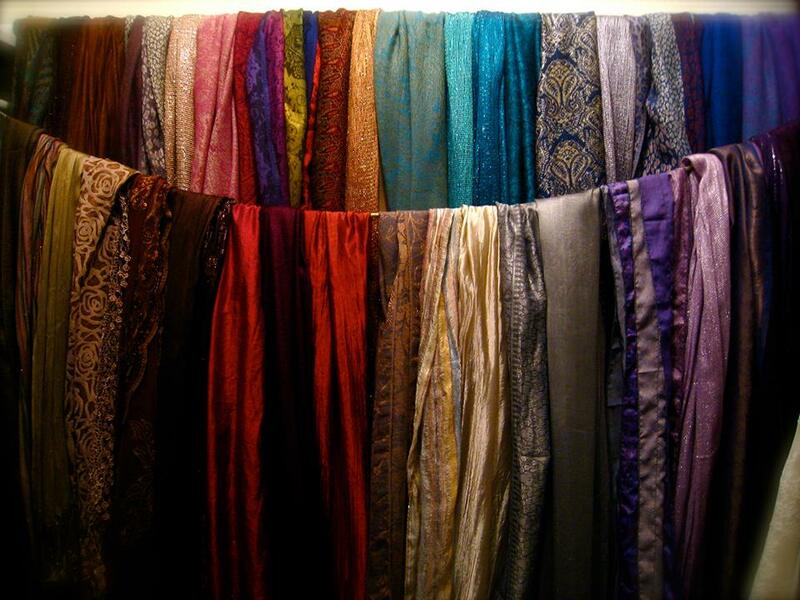 I collected scarves in every color, pattern and texture under the sun. I tried every tutorial and video. And I got good, really good, at wrapping. Eventually, though, I realized that ‘having it all’ wasn’t what it was cracked up to be. More and more, I would have the disappointing experience of finding a scarf that I LOVED in the store, or in the photo on a model… but once I had it, it just didn’t work on me. Or I would find this amazing style that a fan had made a tutorial for. It looked absolutely royal on her, so how come it just looked awkward when I tried it? Even more confusingly, by this point, I knew it wasn’t due to bad technique. I was doing everything right, so why did it feel wrong? 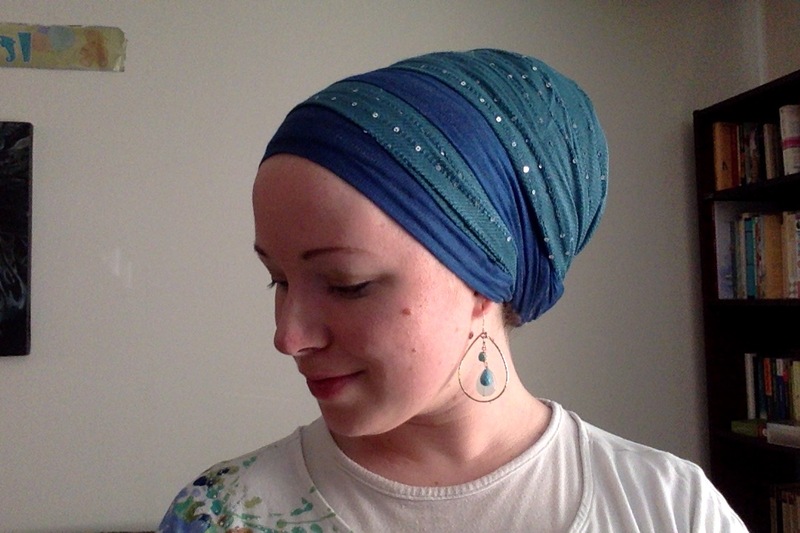 one of the first true personal ‘classics’ I found – a layered Shira Tails wrap. I LOVED wearing this! I recently started reading a book called “The Life-Changing Magic of Tidying Up,” by Marie Kondo, with my husband. It’s about getting your house into order. The author’s central idea is that we create the best environment for ourselves when we select only the belongings that bring us joy, and release ourselves of the obligation and responsibility to keep everything else. It’s a brave and difficult thing to do (especially with the amount of purposeless clutter most of us accumulate), but this little idea has been creeping its way into other parts of my life and even into my tichel wardrobe. My closet. And actually, there’s a third railing since this photo was taken. Option overload!!! When I come across something new, I am still going to try it. A tutorial, or scarf that I think I might like – it’s worth a try, and I don’t want to miss what might become a new ‘classic’! But if I try it and it doesn’t work, I’m going to decide that it’s a great wrap, but just not for me. And that’s actually something to celebrate: I learned a lesson about what works and what doesn’t! A valuable piece of information! It’s not a bad thing that not everything is my style. In fact, I would much rather be surrounded by a smaller amount of scarves, all of which I love. I don’t need to own every scarf type, wear every color, or do every wrapping style. I am releasing myself of the obligation to have it all, and to keep trying wrap styles that don’t make me feel good. I’m giving all those unused scarves to other homes, where they will be loved and appreciated. I am giving up, and it feels so good! Will you join me in giving up what’s holding you back? 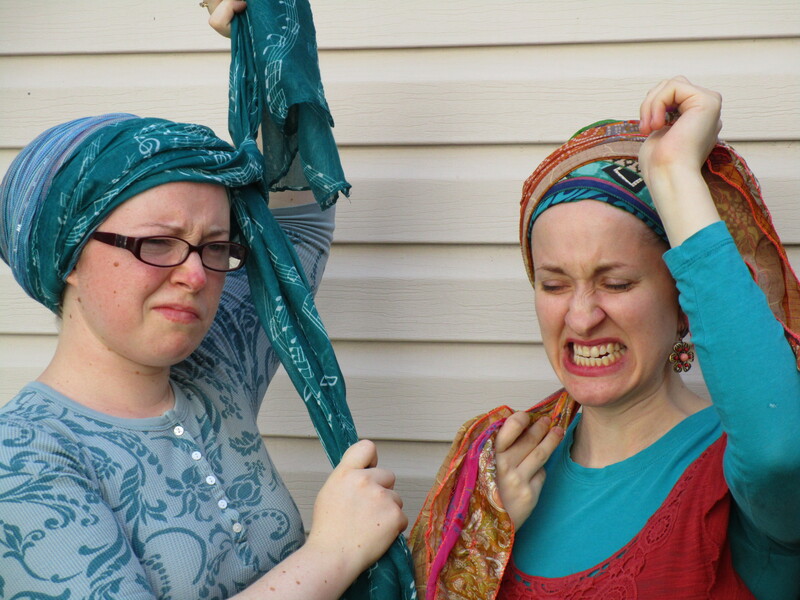 “Wrapunzel Under Wraps” – Everything You Want to Know About Tichel Shapers & No-Slip Headband! … we decided to take it a step further and make a super detailed informational video all about how to wear the no-slip headband, oomphtastic scrunchy, and the three wrapunzel tichel shapers! 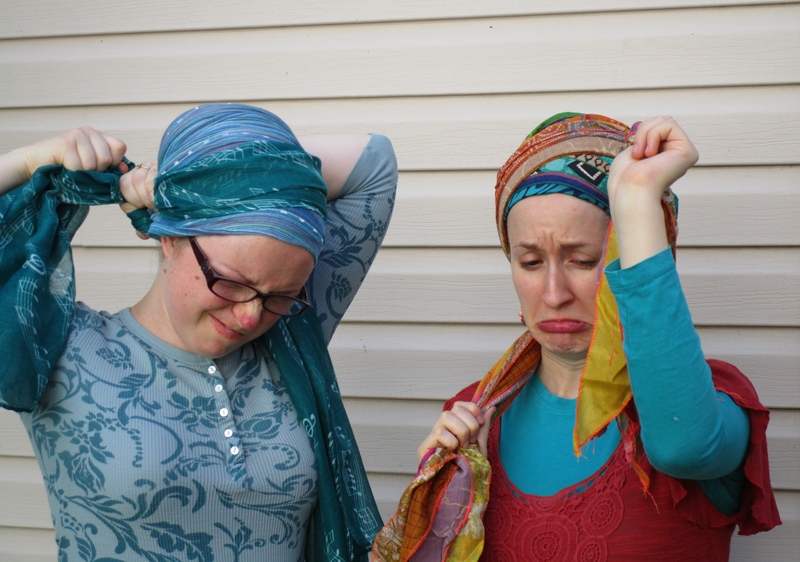 We enlisted in the help of 16 year old Elisheva, and since she doesn’t (yet) cover her hair, this allowed us to show you how to wear ’em from step A – aka morning bedhead! In this tutorial, we show the difference that a high/low bun of hair makes, shaper placement techniques, and different ways to tie the scarf to “shape the shaper”. We hope that this gives you the tools and freedom to experiment and really find the perfect shaper technique for you! Enjoy! First Date with my Husband! 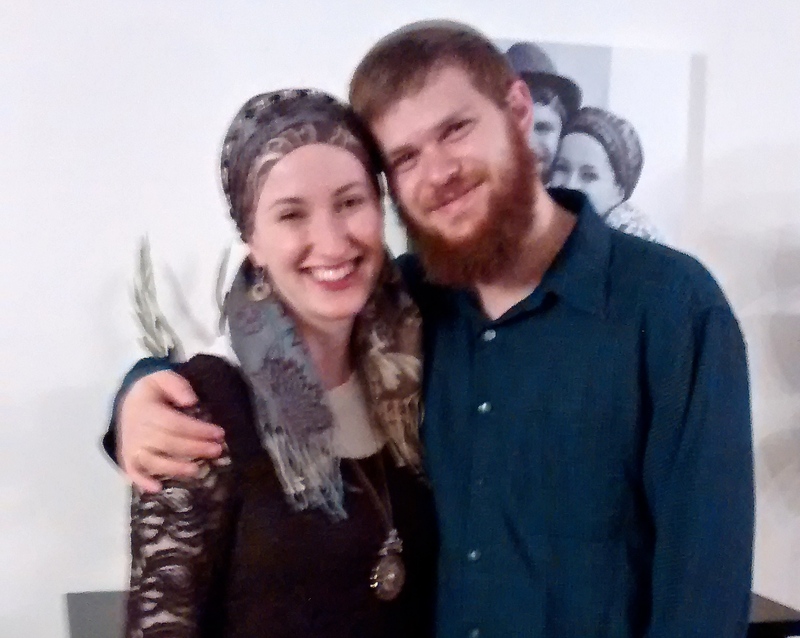 Yesterday was my husband’s birthday, and Naomi Rose generously offered to be with Shalomy so we could go out for dinner together. Wow… I can’t remember the last time we were on a date on our own – certainly not since he was born, but probably for quite a bit before that as well! (We’ve only been out with him, sleeping or otherwise.) We used to be quite decent at carving out time to invest in our marriage, but actually leaving Shalomy behind and GOING somewhere just the two of us?! Needless to say, I was super excited and also nervous. Eeeee so excited to go on our ‘first’ date since becoming parents! Anyway, here is what I wore! May you all be blessed with love and renewal. Kol tuv! Naomi Rose: Easy 2-Scarf Regal Wrap! At Wrapunzel we try very hard to make detailed tutorials for beginners, as well as complicated, fancy videos for more advanced wrappers. But in my daily wraps I often find myself occupying a middle space – I usually do something a bit more involved than a Regal Wrap or the Easiest Long Scarf Wrap, but definitely not anything very time-consuming or formal. 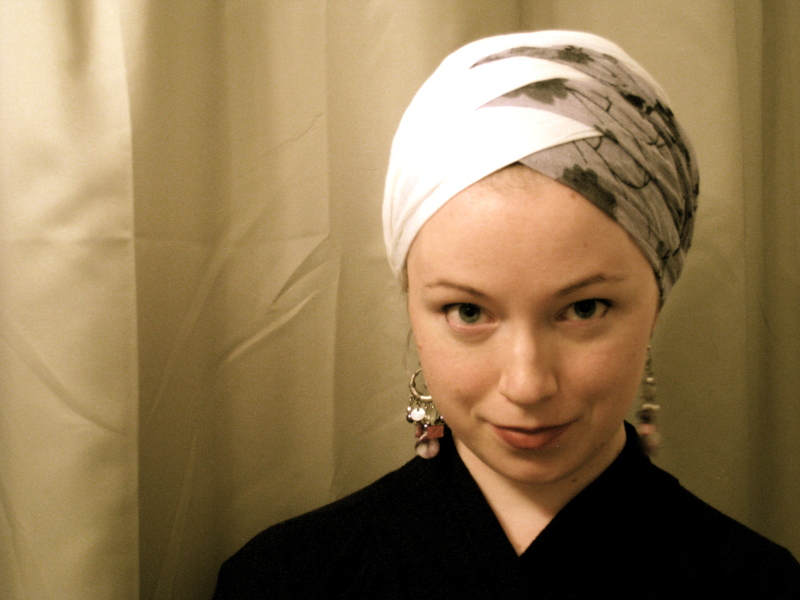 So for anyone else that would like to go beyond one scarf but not spend too much time in front of the mirror, here’s one of my most favorite daily styles – the 2-Scarf Regal Wrap! Do you also find yourself gravitating toward middle-difficulty wraps? Do you have a favorite? Share it with us!! We’ve received an overwhelming amount of requests to hear from Samantha, our historical clothing expert lady wrap star! So here is her first tutorial! We can’t wait to try it out!